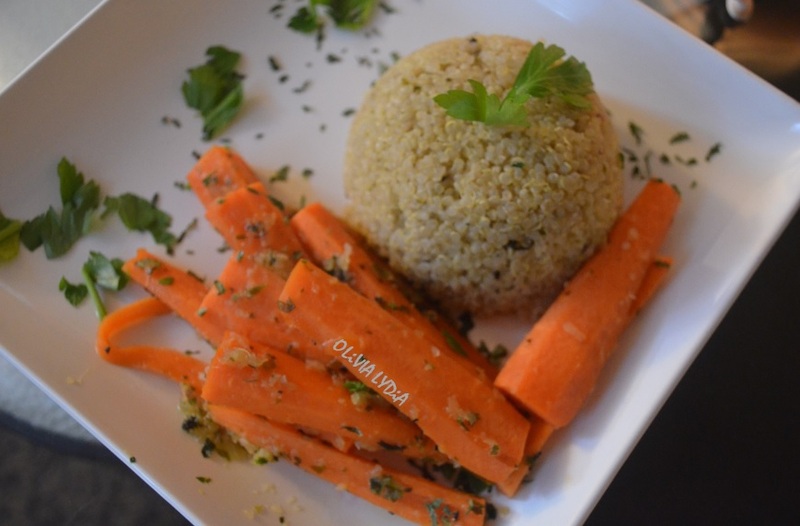 Coconut Quinoa & Ginger Glazed Carrots [featuring Mint Chimichurri] – Olive For Greens. In a small pot, over medium heat, add the Mint Chimichurri and oil. Let it sizzle for about 2 minutes. Crank up the heat and add the milk and veggie broth. Bring to a boil then add the quinoa. Lower the heat, cover and simmer for 15 minutes, or until the quinoa is translucent. 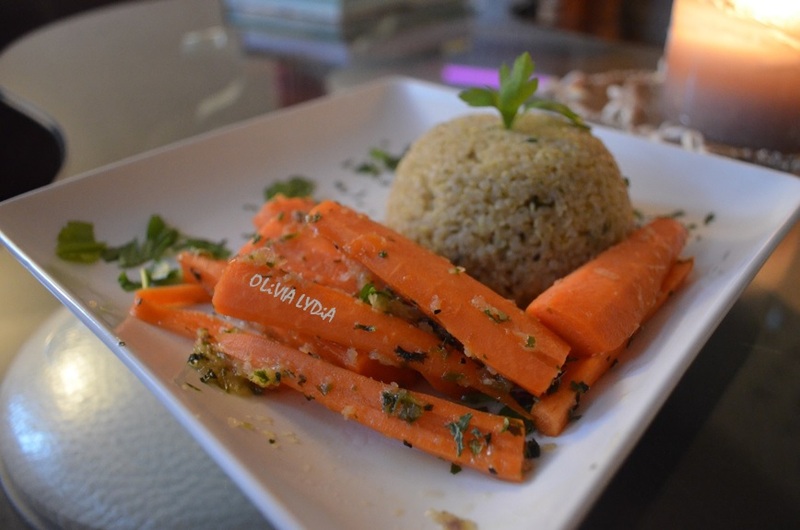 Cut the peeled carrot in half widthwise (2 pieces) then cut lengthwise (4 pieces). They will looks like “fries”. In a small-medium non-stick pan add the Chimichurri and ginger. Stir together, over medium heat, for about 3 minutes. Now add the honey. Low the heat and let settle for 1 minute. Finally add the carrots. Let the flavors infuse. 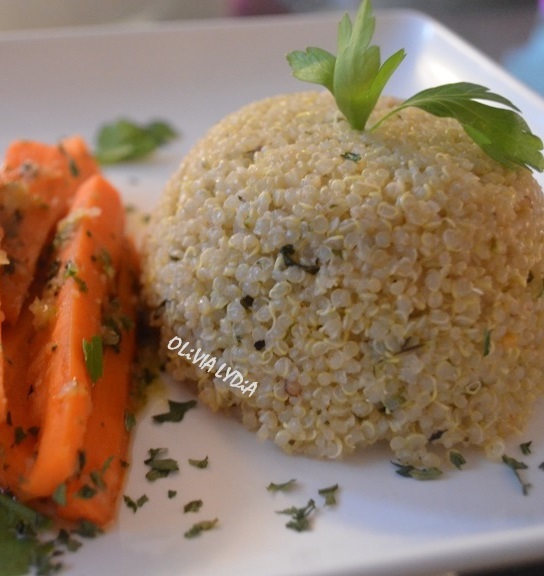 At this point, you can eat the carrots as they are, if you like them crunchy. OR you can cover and simmer for 1-5 minutes.